Sketches of Men - Muscleman & Sincere Men! 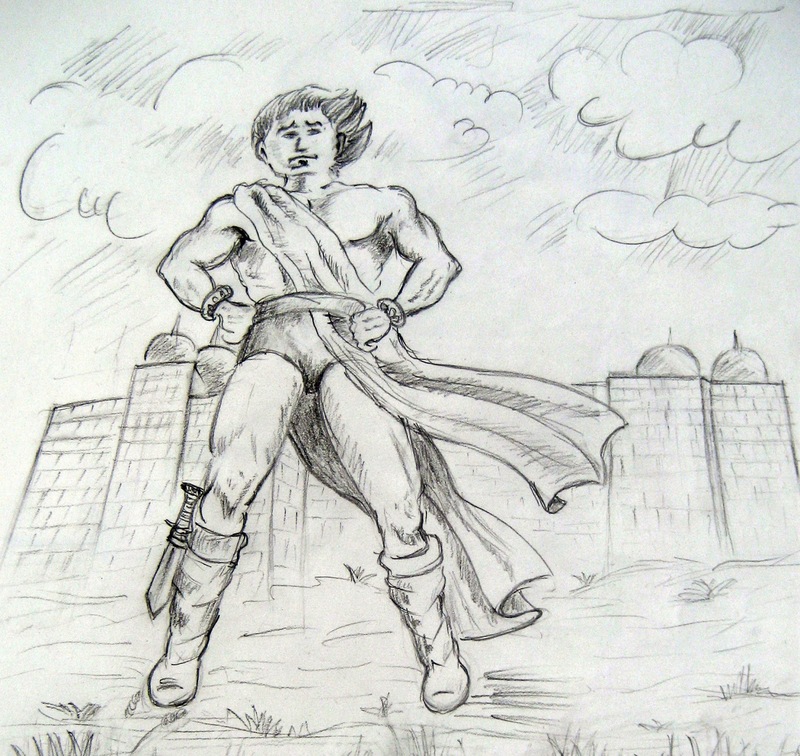 HomeSketchesSketches of Men - Muscleman & Sincere Men! He is a fictitious character.You can call him by any name in the format xyz-man, super-man, per-man (yes, that cartoon character), or muscle-man, etc. Perhaps muscle-man would be a better and a unique name for him, wouldn't it? This muscle-man is just around 2 years old and I am his creator. You know that special xyz-man don't need to go through the natural process of birth and development. They are born in mind of creator first and then in the media and quickly take over the mind of others. The ability to make things happen quickly and swiftly makes them a special-man. Needless to say, they have huge figure which, of course, can be adjusted according to the need of the situation. Don't be afraid if you think he looks fierce. Most of the man in this category are good except the equivalent villains which come out of nothing, probably automatically, but they will always be defeated by the special-men. So, you needn't loose your sleep over this matter! That's enough rant for the muscle-man! Now the turn of the sincere-man who work hard all day long with all their might to achieve something great. These men at work are not only difficult to draw but to imagine as well. However, I didn't have to do the second part as I did this from a book. The single best way to capture them would be to draw them by seeing the real men at work or taking their picture first and then converting it into your art form. Anyway, as you excel in your experience these works will look simpler and more rewarding. I get impressed very much when I see the sketches made with very few strokes, which can communicate the message as effectively as the detailed pictures. Yes, art is about communicating your message using brushes, strokes, colors, etc. The sincere-men are profoundly involved in their tasks and let's not disturb them by my unnecessary rants. Ssh!! !